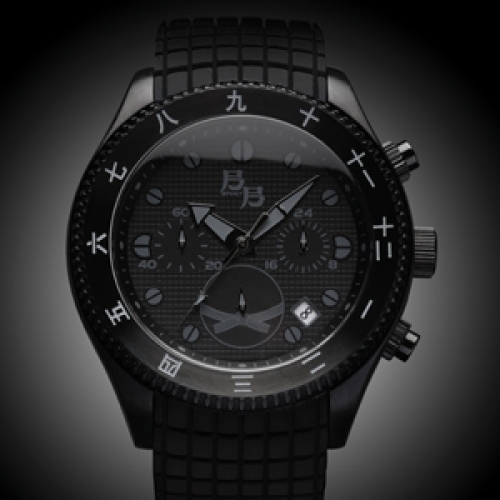 With the same Kanjis virtues engraved on the bezel, the same colour from top to bottom and the same black belt emblem, the Spirit is incontestably related to the Black Belt Watch. Inheriting the same Samurai values, it lives up to its predecessor in all respects. But contrary to its elder brother, exclusively reserved for holders of a black belt, this watch is available to the general public. However, although it is more accessible, only 300 lucky people will be able to own one, on condition they respect the Bushido values and responsibilities: rectitude, courage, respect, honour and loyalty. Shomen ni re - a bow to the Black Belt Spirit.